Is divorce allowed under Philippine laws? No, divorce is not allowed in the Philippines. However, there are certain instances wherein the divorce secured abroad by the foreigner-spouse, and even by former Filipinos, are recognized under Philippine laws. 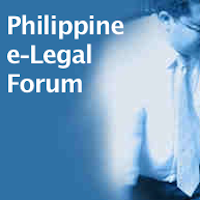 More discussion here (Judicial Recognition of a Foreign Divorce Decree; see also, Summary on Recognition of Foreign Divorce Decree in the Philippines). Would it make any difference if I marry abroad where divorce is allowed? No. Filipinos are covered by this prohibition based on the “nationality principle”, regardless of wherever they get married (and regardless where they get a decree of divorce). Discussions relating to Overseas Filipinos or OFWs are transferred in Part V.
Browse through the comments below to check if your questions are similar to that of others. Other common issues are consolidated in Part II, Part III, Part IV, Part V, Costs in seeking an Annulment, and other related posts. You can check the Related Posts at the bottom of each post. I would like to inquire abt the bigamy case. My cousin has remarried before his first marriage was dissolved. Now his second wife got into trouble and got a fight with her friend about a certain loan. Her friend wants her to shoulder the loan or the money that was missing and they told her that if she do not pay that they will file a case against her and will definitely petition a bigamy case for her and my cousin. Threatening her that they can easily issue a warrant of arrest because her friend is an attorney and has access to most city halls and nbi. How will that be possible? They are both scared, scared enough to come to work because they know that somebody might just catch them and arrest them. Atty posible po Ba na mapawalang bisa Ang kasal nmin Ng dati qng Asawa .kasal po Kami Sa civil at nagpakasal po xa Sa Muslim Sa ibang babae . atty if the parental advised is fake and the license of marriage is issued before three months, does the marriage is void? If the decision of the filed annulment case is already declared Null and Void. How will the defendant know? Does he need to have a copy of it? What will happen to the defendant? ang aswa ko po ay isang japanese. before we got married here nag divorce sila ng ex wife nya sa japan pero kinsal cla dto sa pinas. valid pa ba ang kasal nla sa pinas? nksal nmn po ako ng maayos sa knya wlang naging problema. in terms of conjugal property may bahay po kming ipagawa, may habol po ba ang ex wife nya sa bahay na nakititulo sa pangalan ko in case something bad will happen to my husband? emcoluk, foreigners are governed by their own laws when it comes to divorce. As long as they validly secure a divorce outside the Philippines, the divorce decree is respected under Philippines laws. kpm, I’m terribly sorry; please read the “Terms“. In the near future, we may be discussing preliminary investigations, warrantless arrests and inquests in criminal cases. You might see the answers in that post. Thank you. is there such a law where a married woman can buy a property using her maiden name? will it be still considered ‘conjugal’? Rwan, I’m not aware of any. On the other hand, a married woman is required to use the family name of the husband. The extent by which a married woman may acquire property under her own name largely depends on the kind of property relationship legally established during the time of marriage. Beyond that information, I suggest you consult with your lawyer since we’re prohibited from giving any legal advice in the absence of atty-client relationship. Of course, something could be done to achieve your goal and I trust your lawyer knows it. I’m separated for more than 11 yrs. now. but not legally. He doesnt support our kids. I try to contact him to ask to support now for our kids, but all the contact numbers are not reachable. Can I file a case to him, coz Im working as an OFW. I want also to file for annulment. Please help. Looking forward for your response. Thank you. File an annulment case so that you can be remarried again. in addition to what i wrote, i got married in 1997 and got separated in 2004. the father of my 9-yr old son and i have no communication since then (no child support, etc which is not the issue). i’m planning to buy a house & lot but wonder if i can use my maiden name. and of course, i don’t want him to have a ‘share’ with this in case i file for annulment in the future. Could that be a valid ground to file for a petition of declaration of absolute nullity of marriage? Is that certification an enough and valid proof that we don’t have any marriage license? How long will it usually take for such petition in family court? How long does it usually cost? Should I really need to wait for the court’s declaration before I could get married? Please help me. Thanks. Is there a way to file or get an annulment eventhough the wife doesn’t appear in court? Are there documents that needs to be signed by the wife in the process of the annulment? What if she doesn’t agree to sign? Is it still possible to continue the annulment? Is the divorce decree enough to finalize the annulment? Should an annulment be granted, can a church wedding be possible? Thank you for your time. I’m looking forward to your response. God bless. In my case, can I file a annulment because during my 10 years in marriage we don`t have a child just because of her incapacity . Currently i was in love with other woman and i want to marry her. Will the Philippine court still recognized the divorce even the wife is neither a US immigrant or citizen? Guys, sorry for the delayed reply, there were technical problems with the blog. First off, please understand that we are prohibited from giving legal advice in this Forum, so you may notice that we have declined from answering some of the questions. Nevertheless, as to general matters, here are some notes that may hopefully point you in the right direction. 1. As discussed somewhere, it is indispensable, for the purpose of remarriage, to seek an annulment or an order declaring a marriage as null and void. Ckeck with the NSO if a marriage certificate is on file. There’s such a thing as a CENOMAR or a “Certificate of No Marriage Record” (read here). 2. A decree of annulment may be issued without the other party appearing in court. In fact, the signature or appearance of the other spouse doesn’t mean that the petition will be granted. The other spouse may choose NOT to appear, which is the reason why the public prosecutor is under obligation to check if there’s no collusion between the parties. 3. There’s a requisite dispensation before someone whose marriage had been annuled may get married again in church. By the way, angel_jasmine, I can’t understand your question. Please clarify. Just wanna ask that I’m separated for 15 years and I don’t have any contact on him. i have afriend that had a live in partner who’s been married before, they were separated 5 years ago, but not legally separated or annuled when they into their relationship.the reason of the separation was the wife’s infidelity. .they have a son , and the wife want to petition their child because she was living in states and already an american citizen.wala na din sila communication except sa child’s need. pwede na po ba sila magpakasal ng friend ko though hindi pa annulled? may mga property na ipinangalan sa friend ko.in case there will be circumstances happen , maki claim ba yon ng ex nya?? Thanks for the reply atty. fred but I’m still confused. So are you saying that eventhough the wife (currently in America and has a divorce decree herself; neither a US immigrant or a US citizen) doesn’t appear in court and doesn’t sign any document in the process of the annulment, the husband can still acquire a decree of annulment? On what grounds can the petition be granted? how long does it normally take? If the husband has a copy of the divorce decree, can this be used as a strong evidence that can expedite the process of the annulment? Does the phil. court recognized the divorce decree as legal eventhough the wife is not a citizen of America? Can the wife, eventhough not yet annuled, get married in America to a US immigrant? or does it have to be a US citizen to completely consider the previous marriage null? Does the wife have the right to have a copy of the annulment decree eventhough she didn’t do anything in the process? What does she need to do to obtain a copy? where? That is, if in case the husband doesn’t want to give the wife’s copy. Jasmine, yes, it’s possible to secure an annulment or a declaration of nullity even if the other spouse does not appear or sign anything. As I mentioned earlier, this is the reason why the public prosecutor is under obligation to check if there’s a collusion between the spouses. Please read again this article, because the grounds are discussed in it. In my estimate, the average length of time is 1 year, and it may be shorter or longer depending on the circumstances. As long as the spouse seeking the divorce is a Filipino (a former Filipino is an entirely difference matter), any divorce decree issued is not recognized under Phil. laws. For your other queries, please check the other articles. You may use the search function the right sidebar. Hi sir.. i dont know if active pba tong blog mu .. pero i hope na sana active pa ..
Minabuti ko ng magreply sa message mu po bka saking mapansin mu ang katanunangan ko. As u said above.. if the marraige is void from the very beginning thers no need to file to the court? Would that mean na pwede ng magpa kasal anytime .. I have a gf and they have been in a void marraige since then. What happen is this.. theyv got to both signed a marraige contract that has no civil registrar no. Wc is not a legit paper .and shes 16 yrs of age back then. She uses single status on all of her documents. She also able to get a CENOMAR at civil office..
Atty. Fred sir.. masasabi nyu po ba na pwede na kmi ikasal anytime we want..? If yes .. my question is.. how about the father of her children .. may karapatan po ba sya na mapigilan ang gf ko na ikasal ulit and this time in a legit way..
And sir .. theyre living in a same house right now . And kinakausap ko gf ko and she said gnagwa nya yun para sa mga anak nya ..
Theyre living together ever since po.. but now we are deciding to be married .. is this possible sir Fred.. I hope u may consider answering my querry. Thanks in advance and more power to ure career.. i adore your intentions of helping us to get aware of some legal matters such this.. ???? with regards to ur jan27 reply to my msg, can i at least register a property (should i buy one) under my 9-yr old son? how does this go?